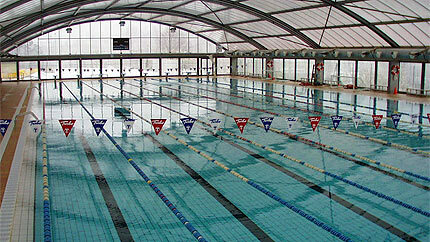 Girona city has several training venues for professional and amateur swimmers, such as the heated pool (50 m) in Sant Ponç Sports Complex (GEiEG), where the water is treated by a salt-water chlorination system. A retractable roof slides open during the summer months. 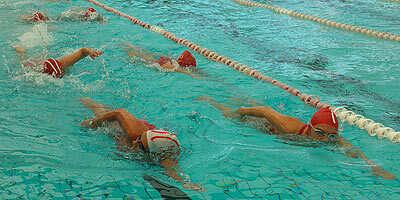 Other swimming options in the city include three 25-metre pools, in Sant Ponç Sports Complex (GEiEG), Palau Municipal Swimming Pool and Santa Eugènia Municipal Swimming Pool respectively. Girona swimmer Miquel Sunyer was the first Catalan to win the Triple Crown of Open Water Swimming, among other well-known swimming events.